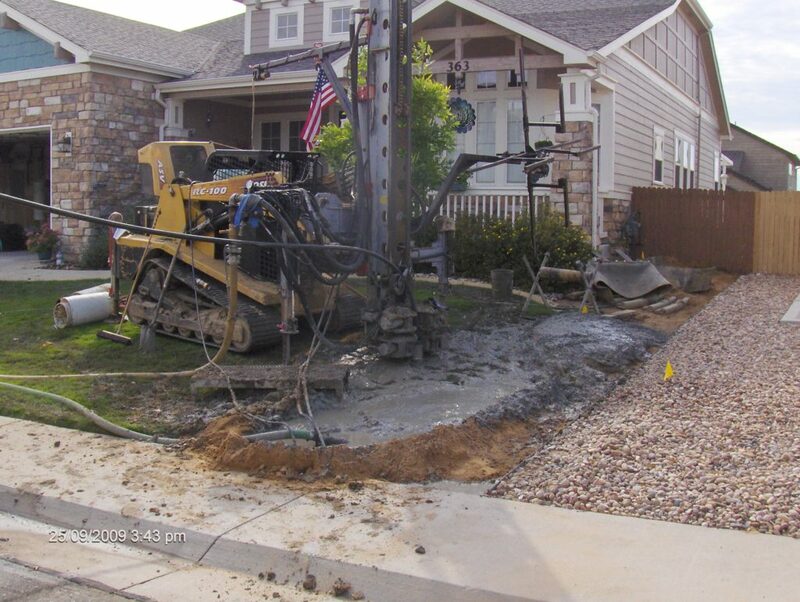 Do You Make a Mess When Installing Geothermal? The Geothermal Gossiper Answers Your Question! 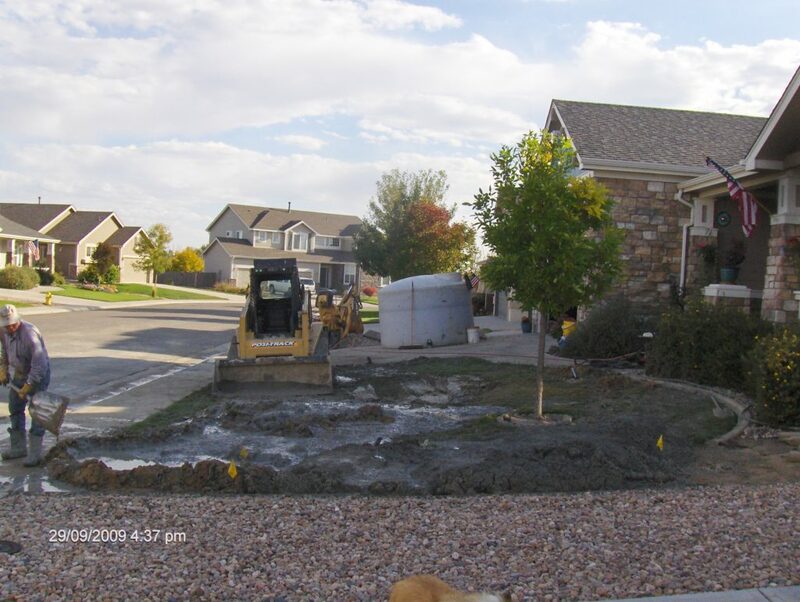 We are often asked what the geothermal installation process is like and if it’s messy. YES! A resounding yes is the answer to this question!! 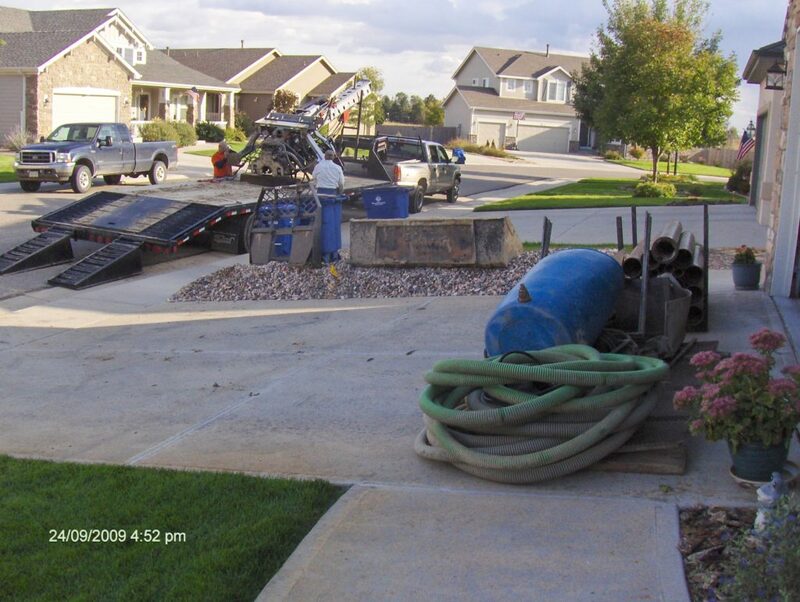 Homeowners are surprised when they see how much equipment rolls up in front of their home, but are even more surprised at our efficiency and streamlined process and how quickly we can be in and out. There is a lot that goes into installing geothermal- a drill, skid steers, a grout plant, an air compressor, stacks of drilling rods, an excavator, loops, holding tanks, hoses, water, I could go on and on. We invest in our company to make sure we are mastering leading technology as we pride ourselves on the quality of services we commit to our clients. Our process and equipment have been designed to ensure safety of our employees and a quality and efficient installation for our clients. BEFORE geothermal installation. 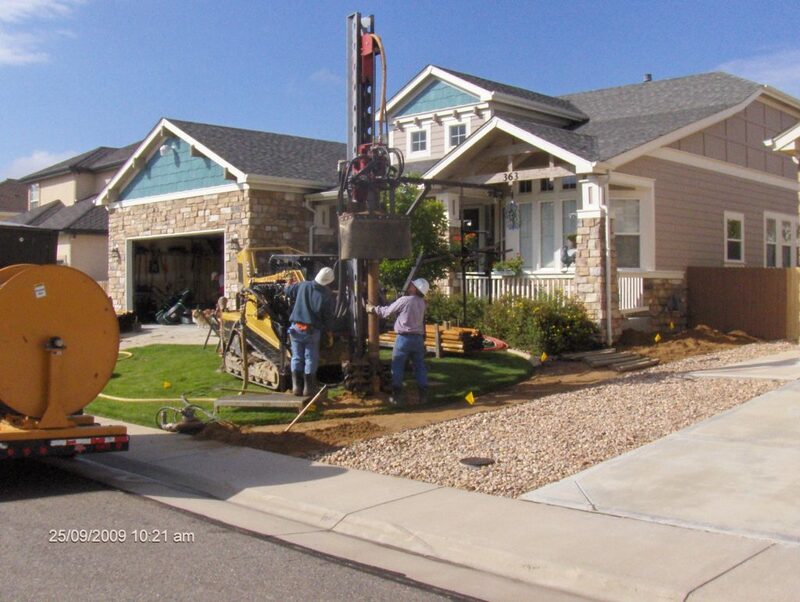 Photo Credit Jim D.
At Colorado Geothermal Drilling we are known for specialized installation in compact spaces. 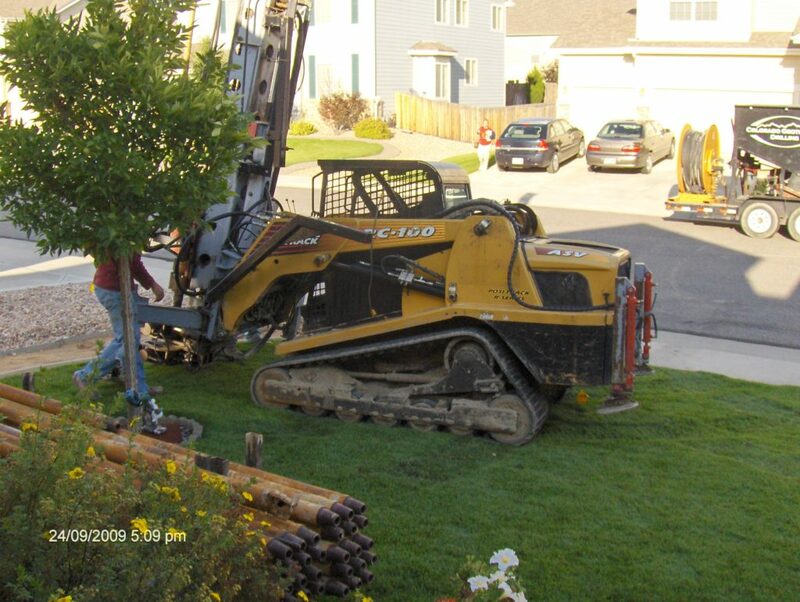 Now imagine- we have to drill three 300-foot holes in a front yard like the picture here. That’s nearly 1 football field per borehole! The good news is- a job like this will usually take us less than a week from start to finish. So the process is going to look something like this: Equipment is brought in with several trailers and trucks. Our crew will strategically set up equipment and prepare for drilling. Equipment used in installation. Photo Credit Jim D.
We will locate where the loops will be installed to make sure we stay clear of gas lines, water lines, electrical lines, fiber optic, sewer, and sprinklers which will impact our drilling locations. Keep in mind we have these located ahead of time because we want to make sure our crew stays safe. 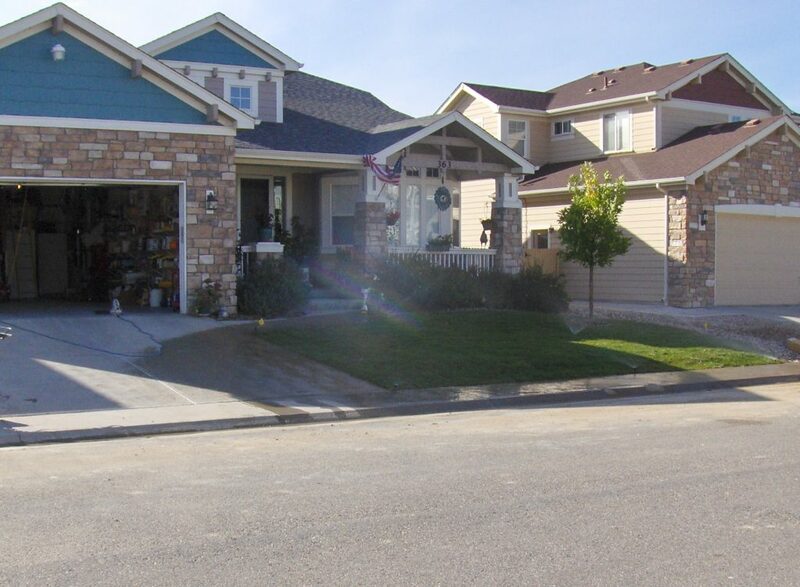 However, it is not unusual for a sprinkler line to be cut as these typically are easy to fix and often transverse throughout a yard. Drilling produces cuttings. Photo Credit Jim D.
Trenching and manifolding. 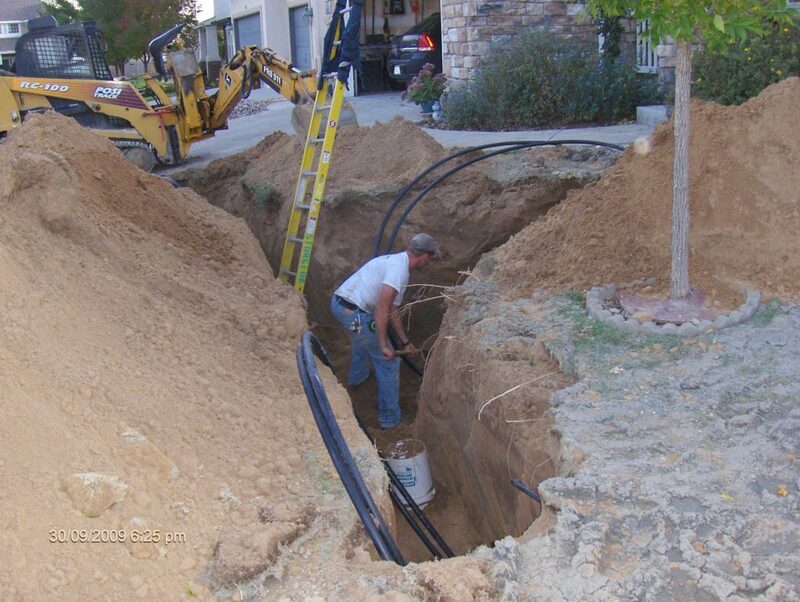 Credit Jim D.
After loops are installed we must excavate around the loops and dig a trench to manifold all of the loops together to bring into your home and to your geothermal heat pump. High density polyethylene pipe (HDPE) is used and is heat fused together to form joints stronger than the pipe itself. Once all loops are fused we will bury everything and bring your yard back to grade. We are not landscapers so we don’t lay sod, rock, or plant trees. 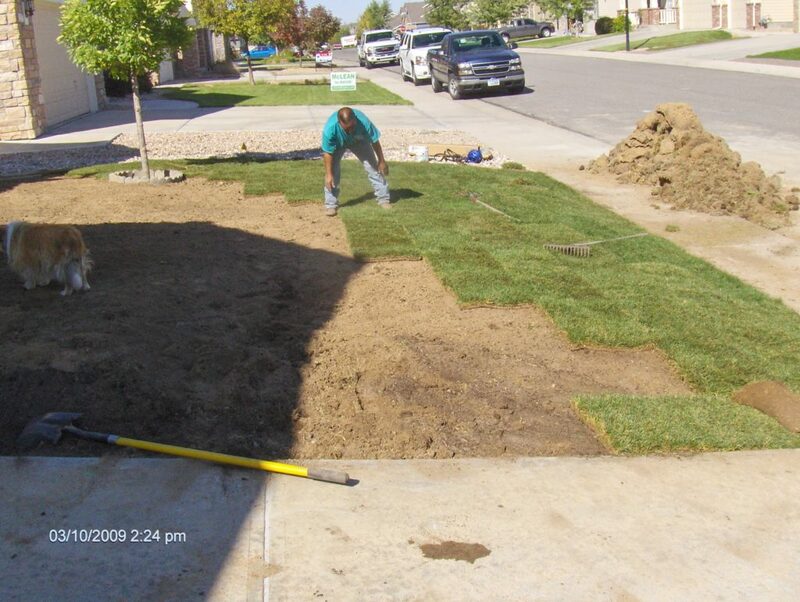 Most homeowners either do it themselves or hire a landscaper to come back in and lay sod or take the opportunity to update their landscape. After the project is finished most people have no idea that geothermal was just installed and that their neighbor just became the next Genius Geothermal Homeowner! 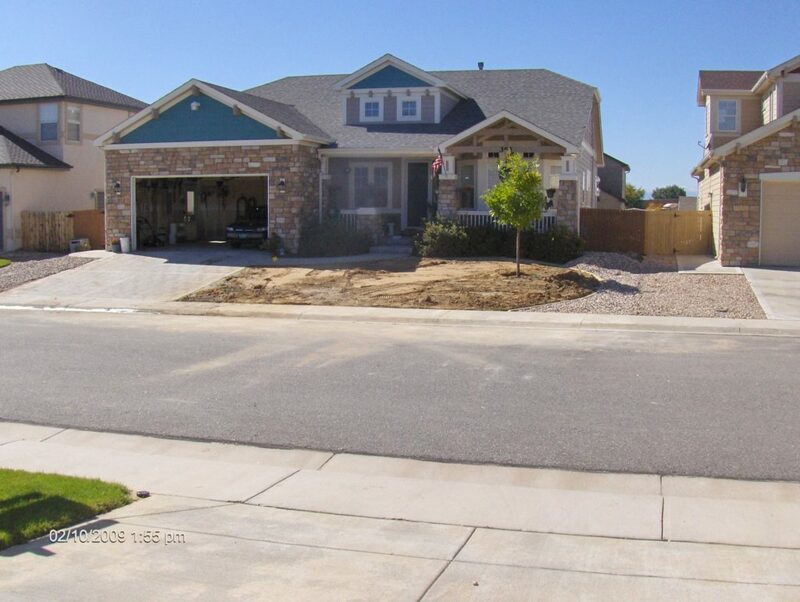 Landscapers can come in after loop installation to bring your yard back to its original beauty. One of the best things about your geothermal system, besides the energy efficient heating and cooling, is that you no longer have an outside air conditioner making noise and ruining your outdoor aesthetics. Your close proximity neighbors will notice how quiet it is and you will be enjoying the quiet sounds of nature, as it was intended. AFTER geothermal installation Photo Credit Jim D.
Geothermal provides enhanced comfort, improved indoor air quality, natural aesthetics (no loud ugly outdoor equipment), safe heating because there is no onsite combustion of fossil fuels, no worries about carbon monoxide, fuel/gas leaks or spills, or fumes, reduced noise, minimal maintenance, no weather damage or vandalism, reduced greenhouse gas emissions, reliable, ‘green’ technology recognized by LEED. 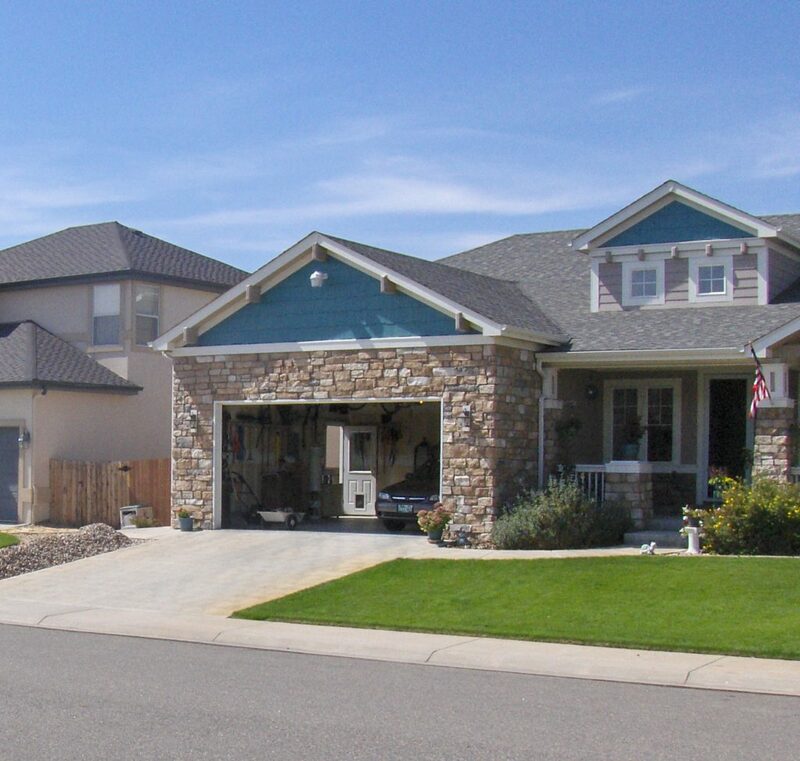 Colorado Geothermal Drilling works with homeowners, builders, HVAC contractors and designers to provide the best geothermal design and installation to meet the client’s needs. Kari Rau is co-owner and VP at Colorado Geothermal Drilling and owner at HGB Home Co., LLC. She holds the title of World’s Okayest Mom, is a serial chips and queso addict, Airbnb Superhost, and loves to gossip about geothermal to anyone who will listen. Previous PostPrevious The Geothermal Gossiper: The Net Zero Revolution and What Do I Need to Know?